Unlike their invasion of England, the Norman penetration into Wales took place very gradually after 1066. The new king of England, William I (‘The Conqueror’) quickly secured his English kingdom by establishing earldoms along the Anglo-Welsh borders at Hereford, Shrewsbury and Chester. But it wasn’t long before the new Norman lords began to look at expanding their lands westward into Wales. William himself led a military expedition across south Wales to St. David’s in 1081, and is said to have founded Cardiff on the way. Throughout the 1080’s and 1090’s the Normans penetrated areas of Wales, conquering and settling Pembroke and the Vale of Glamorgan in southern Wales. England’s King Henry I, William’s youngest son, encouraged large-scale Norman settlement in south Wales, building the first royal castle at Carmarthen in 1109. The Welsh princes refused to submit however, and took the opportunity to reclaim land from the Normans when some ‘in (English royal) family’ feuding took place, following the death of King Henry I in 1135. The Welsh were truly united when Llewelyn Fawr (Llewelyn the Great), became Prince of Wales in 1194. Llewelyn and his armies drove the English from north Wales in 1212. Not content with this, he reversed the trend of conquering, taking the English town of Shrewsbury in 1215. 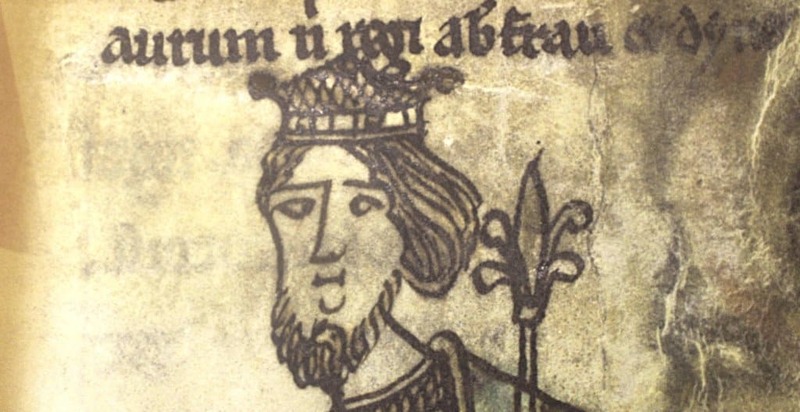 During his long but peace-less reign through to 1240, Llewelyn resisted several attempts at re-invasion by English armies dispatched by the then English King, Henry III. Following his death Llewelyn was succeeded by his son Dafydd, Prince of Wales from 1240-46, and then his grandson, Llewelyn II ap Gruffydd from 1246. The really bad news for Wales happened in 1272, when following the death of King Henry III, his son Edward I became the new king of England. Now Edward appears to have had a disliking for all Celts in general, and Llewelyn ap Gruffydd in particular. Edward achieved the conquest of Wales through three major campaigns and on a scale that he knew that the Welsh could not hope to match. The first invasion in 1277 involved a massive English army together with heavily armed cavalry that pushed along the north Wales coast. Llewelyn’s support was limited in comparison, and he was forced into accepting Edwards’ humiliating peace terms. In 1282 the Welsh, led by Llewelyn’s brother Dafydd, were provoked into revolt against the English in northeast Wales. Edward responded with a further invasion, this time Llewelyn was slain at the battle of Irfon Bridge on the 11th December 1282. Llewelyn’s brother Dafydd continued the Welsh resistance through into the following year. He obviously lacked the charisma of his brother, as his own countrymen handed him over to Edward in June 1283. He was later tried and executed. The Welsh ruling dynasties were in tatters, and Wales virtually became an English colony. Each of Edward’s campaigns was marked with the building of some of Europe’s finest and grandest castles. The scale of the buildings was to leave no doubt in the minds of the Welsh who their new rulers were. Flint, Rhuddlan, Builth and Aberystwyth castles were all built following the first invasion. 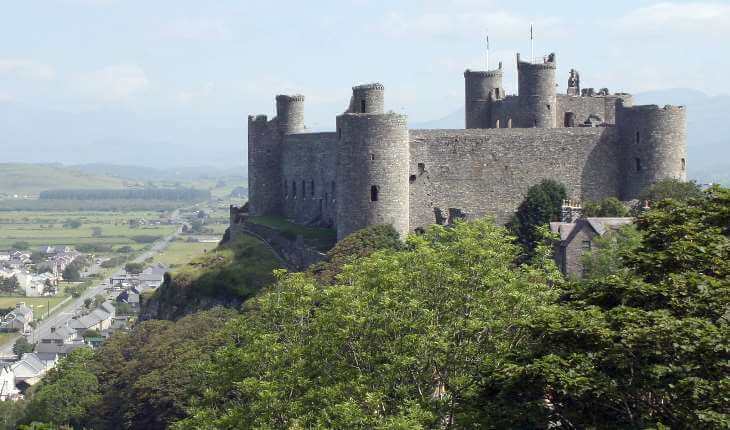 Following the second invasion, the building of Conwy, Caernarfon and Harlech castles more closely guarded the Snowdonia area. Following a Welsh rebellion against English oppression in 1294 Beaumaris Castle was built to secure the Isle of Anglesey. Masons from Savoy, under the watchful eye of Master Mason James of St. George were responsible for the design and detail of these grand castles. One of the grandest is Caernarfon, which reflects the design of the mighty walls of Constantinople, perhaps somehow linking in stone the power of a modern medieval king with that of an ancient Roman emperor. There are two men whose names were a clarion call to all Scots. Robert the Bruce, who took up arms against both Edward I and Edward II and united the Highlands and Lowlands in a fierce battle for liberty: and a humble Lowland knight, Sir William Wallace. Forget 1066; this is the story of how one Welsh lady beat back a French invasion.